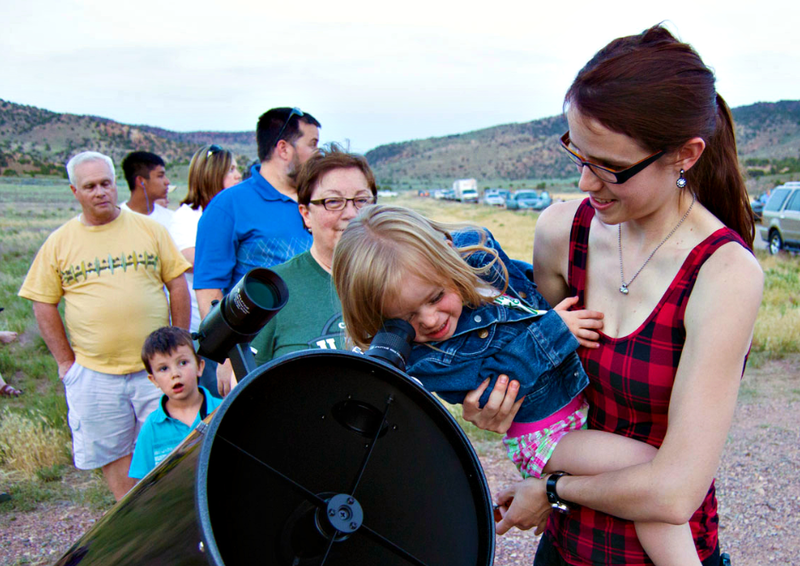 We are gearing up for the summer and excited to bring astronomy to the community! All listed events below are free and open to the public (but if you really love us, consider making a donation through our donation link to the right side of the computer screen. It will help us get a solar telescope which will bring daytime astronomy to the community). We will be able to see Venus, Jupiter, Saturn, Uranus, and Mercury this year with extreme clarity, as well as a couple of spectacular meteor showers. Additionally, our furthest planned location will be out at the Three Peaks recreation site, away from the city lights, but still very close to town. We want everyone to be able to see the night sky in its full glory, but we don’t want anyone to have to drive too far. 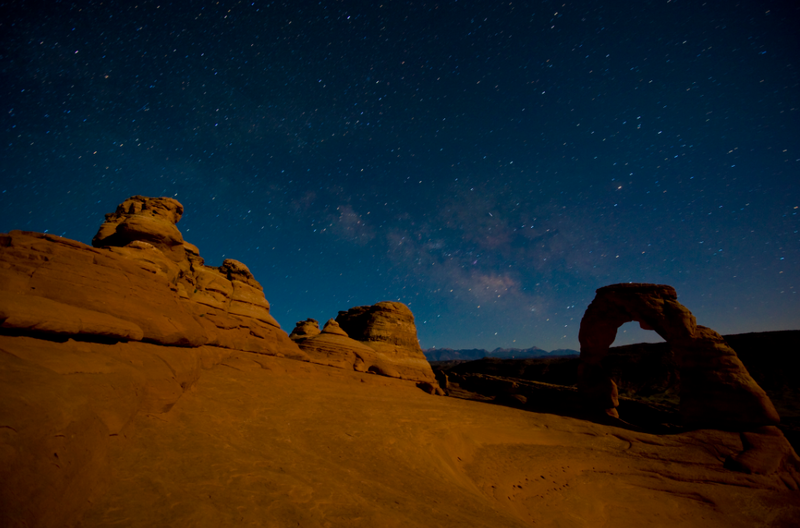 For questions concerning the Southern Utah Space Foundation, please email Leesa at leesa@susf.org. Or call 435-633-1759. Please leave a message with your name and phone number if we are unable to answer and we will get back to you. Thank you for coming out to our opening summer event for this season! We couldn’t hope for a better evening. Check out the Spectrum’s article on the Solstice. 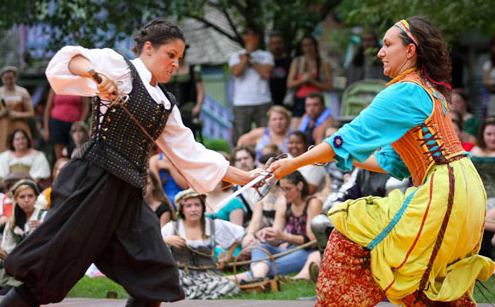 SUSF will be at the Utah Midsummer Renaissance Faire in the Main Street park. We will have a mini solar telescope set up, as well as some fun treats. Come by and chat with us about astronomy. We love meeting other astronomy enthusiasts! New Horizons will finally be flying by Pluto and it will be able to see the planetoid and its moons up close and personal. 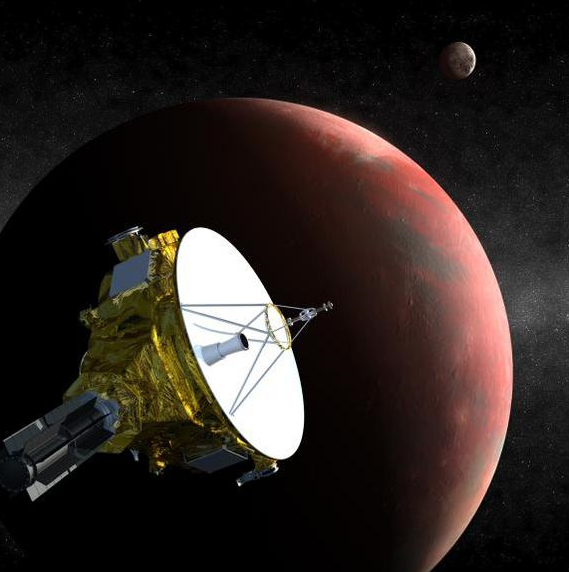 This is the first probe to Pluto and a huge milestone in space exploration. Although New Horizons is traveling many times faster than a speeding bullet, it still took almost 10 years to reach Pluto and we are so overjoyed that we can’t help but celebrate. Join us at Three Peaks on Saturday, July 18th, at 9pm for some stargazing, toasted marshmallows, and celebration! Directions to Three Peaks from Cedar City can be found here. 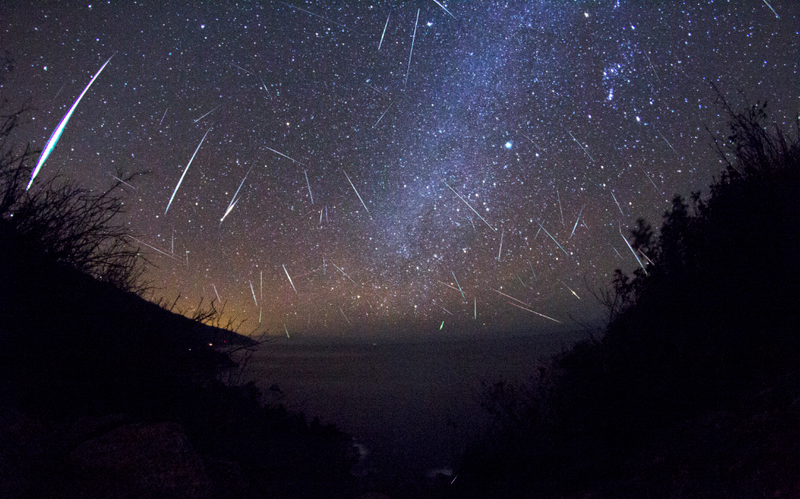 Join us at Three Peaks at 8pm for the Perseid Meteor Shower! The moon will be slight, the sky will be dark, and we are expecting a great performance. Meteors are best viewed with the naked eye, but binoculars can be fun to bring during a meteor shower. We will have our telescope there to look at other objects in the sky. We suggest bringing a light jacket since the weather can get cold in the nighttime desert (even in summer), and blankets so you can lay on your back and just watch the meteors fly by. As usual, there will be marshmallows. Directions to Three Peaks from Cedar City can be found here. Join us for catching a glimpse of the planet Mercury in the Western sky as the sun goes down. Trying to get a good view of Mercury is very difficult since the planet is so close to the sun. Mercury will be at its greatest ‘elongation’, meaning it will be farthest from the sun that evening and prime for viewing. Please join us for marshmallows, astronomy, and the best view of Mercury on September 5th at 7:30pm. Directions to Three Peaks from Cedar City can be found here. 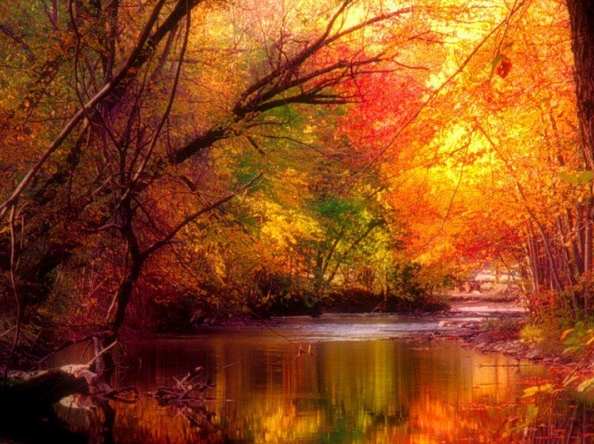 SUSF will be celebrating the Autumn Equinox this year on Wednesday, September 23rd at Three Peaks. Please join us for marshmallows, astronomy, and the best view of Mercury on September 5th at 7:30pm. Directions to Three Peaks from Cedar City can be found here. Join us for catching a glimpse of the planet Uranus. The blue-green planet will be at its closest approach to Earth and its face will be fully illuminated by the Sun. It will be brighter than any other time of the year and will be visible all night long. This is the very best time to view Uranus. Please join us for marshmallows, astronomy, and the best view of Uranus on October 10 at 8pm. Directions to Three Peaks from Cedar City can be found here. The Orionid Meteor Shower is produced from dust grains left over by Halley’s Comet. It will peak this year on October 21st, producing an average of 20 meteors per hour. This will be a dark night and prime for viewing. 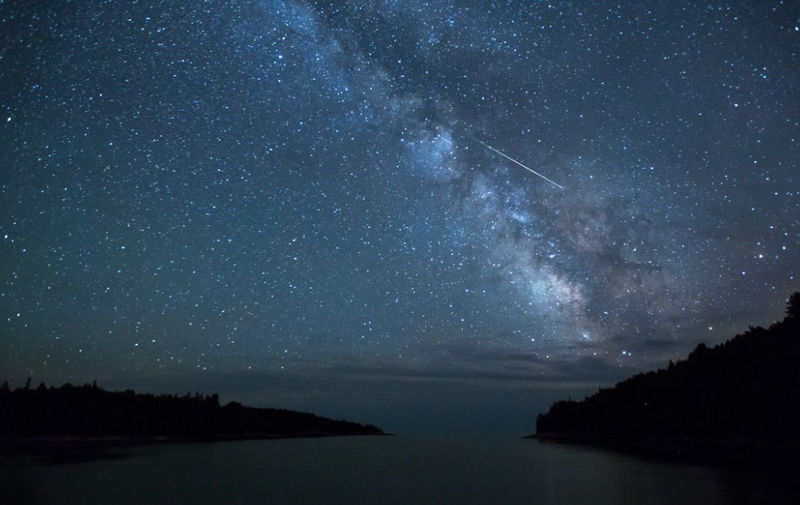 As with all meteor showers, we recommend coming out after dark, wrapping up for warmth, and bringing a blanket or chair that will allow you to lie back and just watch the sky. 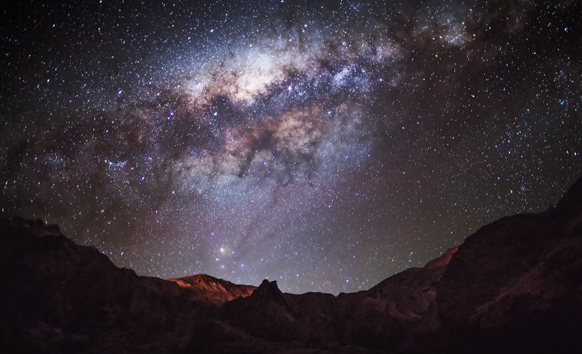 We’ll provide the marshmallows, laser pointers, and a telescope to view other objects in the night sky. Directions to Three Peaks from Cedar City can be found here. . This is our summer schedule. We will be scheduling more events for winter and spring of next year. These listed events are free and open to the public. If you would like to schedule a private party with the Southern Utah Space Foundation, please email Leesa at leesa@susf.org. Or call 435-633-1759. Please leave a message with your name and phone number if we are unable to answer and we will get back to you.